Monkees bassist and vocalist Peter Tork died earlier this week, and at their show this week in Tallahassee, Car Seat Headrest took a moment to pay tribute to Tork with a cover of the Monkees classic “For Pete’s Sake,” as Stereogum points out. The song comes from the band’s 1967 album Headquarters and was used as the closing theme for the second season of the Monkees’ TV show. The album later reached No. 1 on the Billboard 200 albums chart, selling more than 2 million copies in the first few months of its release. 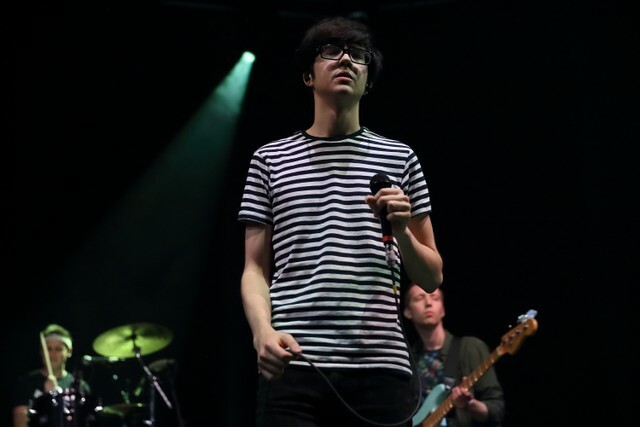 Car Seat Headrest’s latest album—a rerecording of their 2011 album Twin Fantasy—was released last February. The band has remained on the road practically ever since, most recently announcing an expanded set of dates for their 2019 North American tour, with dates continuing through this August. Last year, the band covered Frank Ocean’s “White Ferrari” at a show in Perth, Australia, and have covered other songs by Death Grips, OutKast, Smashing Pumpkins, Darude, and more. Hear the band’s Monkees’ cover below.